Suzanne Novak, from Madison, reported that it shook her house in Legend Hill. People living on the shoreline in Clinton reported hearing it as well. Did you hear it? What did it sound like to you? While it may have been thunder, many people reported that it was just one boom, and that it shook the ground, making it sound like an explosion. 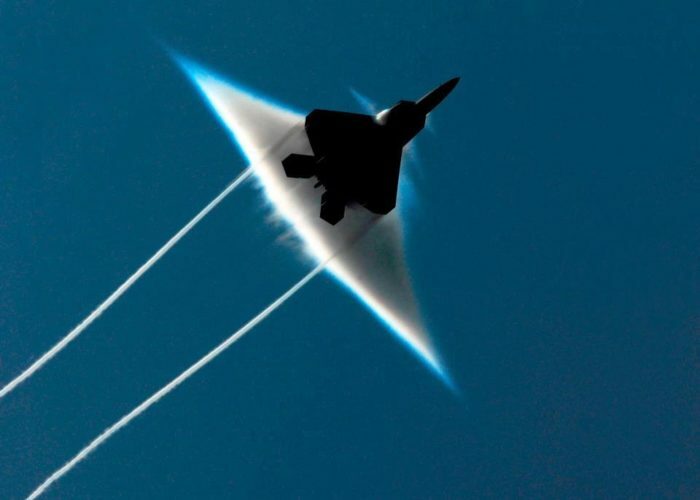 I pretty much think that it came from an army jet breaking the sound barrier since officials report jets patrolling the us skies to search for the bombing attack at Boston marathon. The National Weather Service did say that conditions were ripe for a thunderstorm Friday night. Showers and thunderstorms, mainly after midnight. Some of the storms could produce gusty winds and heavy rain. Areas of dense fog before 3am. Low around 50. Southwest wind 13 to 18 mph, with gusts as high as 34 mph. Chance of precipitation is 90%. New rainfall amounts between a tenth and quarter of an inch, except higher amounts possible in thunderstorms. Maybe a bolide, or a meteor that explodes when it hits the atmosphere? The American Meteor Society website did not log any reports of that overnight. It seems that on the same day, many other towns getting similar reports of a single loud “boom”, no reports of light flashes or power outages in the area. So was this loud boom a huge thunder clap? In other words, isMother nature playing tricks on us while we’re already on edge? With the entire country riveted by the tragedy earlier this week in Boston, and the drama that unfolded today as one bombing suspect was killed and another captured, explosions were on everyone’s minds, perhaps making them more apt to report something out of the ordinary to 911. I was awakened at 4am this morning by a very loud bang. I know it was not part of a dream because as I opened my eyes to what I had heard, one of our dogs started barking (from the foot of our bed). He heard it too. My husband didn’t hear anything/wasn’t awakened and my daughter is not up yet so I haven’t been able to ask her. It’s still bothering me as to what it could have been. I haven’t been able to sleep since. FRIDAY — 4/19/13 – I heard the loud bang too!!!! I was in my basement in the Laundry room when I heard it. I went back upstairs and asked my daughter if she had heard it. She had music blasting and was folding laundry while dancing and singing….she didn’t hear anything (LOL). While I know there was some random thunder/lightening that evening…..this is no way sounded to me like thunder. However, I suppose it could have been….like you said, we were all on edge from the events of the week so maybe our minds would play ticks on us. HAHAHAHA, I would LOVE to see the pilot of a JET be able to say they spotted ANYONE from their speeds. This statement is just hilarious. Helicopters would be more like it. I heard the sound around 10:00 Friday night and was awoken to it. My neighbors dogs were barking. I spoke to quite a few people who also heard the strange sound. Definitively not thunder. I live in Branford. A friend heard it in Clinton and Westbrook. Yes, that’s the same time I heard the one on Friday. I agree…NOT Thunder…..did not at all sound like thunder to me. (I’m in East Lyme) I have talked to several ppl in the area and they all heard it too.